The Old Testament often mentions the Lord's Face. Cherubs and Seraphs venerate Him in heaven and when He appears on the earth, patriarchs, prophets and the righteous of all times look at His Face with deep respect and religious awe. After Incarnation, when the Word of the Lord took on our humanity, it was the Lord's Face in Jesus that became the subject of veneration, respect and love, initially of Mary and Joseph and later of the apostles, disciples and all the others who had a chance to see His admirable beauty. In Bethlehem, in Nazareth, on Mount Tabor and in various circumstances in which the Lord's Face was seen, it deserved admiration and veneration as the mirror of His sacred Spirit and tender Heart. Veneration of Jesus Chris as a service to His Holy Face is not new in the Church. It is connected with the dogma of Incarnation and starts with the birth of Jesus. When people listened to the words of God-Man, they adored His wisdom and teaching. They also admired the incomparable charm of His speech but especially His miraculous Face in which God's Majesty was reflected, as St. Jerome put it. 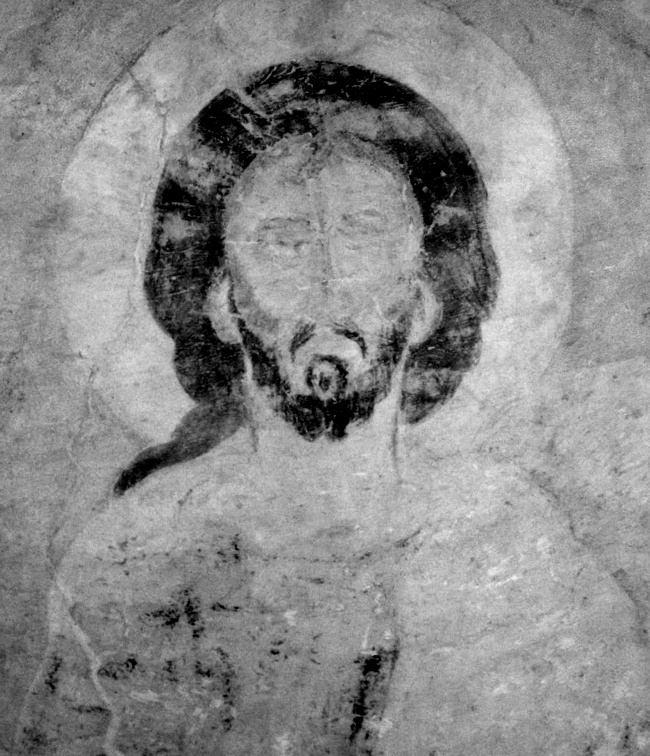 According to Origen, the Face of Jesus was alternately sweet and stern but also merciful and frightful. It took on different expression depending on the inner disposition of those who saw It. It was full of blessing and caress to children yet frightful to those selling in the temple. His Face deserves special veneration when Jesus was humiliated and pained during His Passion. His sacred and most beautiful Face suffered numerous humilation, insults and pains. They started in Gethsemane where His Face was covered in bloody sweat and defamed with the treacherous kiss of Judas and ended when He gave His last breath at the moment of death while bowing His head on the cross. His head and forehead were crowned with thorns, His eyes were in poignant tears and His mouth was watered with gall and vinegar. Slaps, spits and bloodiest insults were lavished upon Him. All these pains reflected in the Holy Face of the Saviour during His Passion were contemplated throughout centuries by the hearts and souls of such chosen ones as St. Augustine, St. Bernard, St. Gertrude, St. Mechtilde and others. The Bible, Church Fathers, the Tradition and history inform us that the veneration of our beloved Saviour's Face, based on sacred dogmas of the faith, has been practised from time immemorial. In the 19th century this veneration became more intense thanks to the revelations experienced in the years 1844–1848 by Sister Mary of St. Peter (1816–1848), a Carmelite nun from Tours in France. In one of these revelations the Saviour said these solemn words to her, "I give you the Holy Image of my Face in the presence of My Father and the Holy Spirit, and angels and all saints. I give you this gift through the hands of My Holy Mother and St. Veronica who will teach you to worship It properly. You will work miracles with the help of My Holy Face". Then He told her that it was the second greatest grace to the Holy Sacrament He could give her. After the revelation in La Salette, Jesus spoke to her again and told her, "My daughter, I take you as my minister and place the Image of My Face in your hands so that you could continually offer It to My Father in order to save your country. Use this gift advantageously. It is a treasure with which you can provide for all the needs of My home. Through It you can earn salvation for many sinners. When you offer It to My Father, He will not refuse to provide you with anything. If only you knew how dear My Face is to My Father". Another time, prompting her to trust in the power of His Face, Jesus told her, "I give you again My Head so that you could offer it to My Father and appease His righteous anger. If only you knew the saving power of this Image. And Its power comes from the fact that I took all human sins upon My Head so that other parts of My Body could be saved from harm. So offer the Image of My Face to My Father as it is the way of appeasing Him". Soon later the Saviour let her learn that this Face has the power to reflect God's image in people's souls. He begins with the soul of His faithful handmaid in order to make other souls cleansed in His holy Blood learn the power of His Face and impress in them anew the Lord's image which has been largely effaced through sins. Basing on the example of St. Peter, He showed her how powerful the expression of the Holy Face is. Sister Mary describes it as follows. "In the world there are people who mastered the art of healing the body, but only the Saviour has the art of healing souls created in the image and likeness of God. Our Divine Rabbi has promised such grace to anybody who tries to worship and adore His Holy Face properly. The example of Saint Peter shows us the power of this Holy Face. The apostle effaced God's image impressed in his soul by denying three times he knew Jesus, but He turned His Holy Face to the unfaithful apostle and immediately Peter felt deep remorse". Following the example of God's servant Leon Dupont who was Sister Mary's confidant, three years after her death, in 1851, the keen Catholics of Tours started adoring and praying to the Holy Face of Jesus insulted during His Passion. Initially, in the living room of Leon Dupont's house a few faithful souls gathered timidly near the keen God's servant in order to join him in his prayers. It was not an association but a simple connection of private and voluntary prayers. Soon the service became so popular that the archbishop of Tours formally consecrated the shrine on 29 June 1879. He recognised it as a public chapel serving to increase even further the adoration of the Holy Face of Jesus Christ. Since that day pious pilgrimages have arrived at this place to pray and priests have said holy masses. The fact that the prayers were pleasing to God is confirmed by numerous votive offerings left by pilgrims as signs of gratitude for spiritual and temporal graces they received. In 1884 the Association of the Holy Face was established to administer the service and it was approved by the Holy See in the following year. Similar associations were created in many towns of France and the worship of the Holy Face spread to many countries of Europe, America and even Asia. In Poland the service to the Holy Face of Jesus was propagated by Blessed Father Honorat Koźmiński (1829–1916), a Capuchin friar and an author of a few books referring to this cult. He gained the cooperation of Eliza Cejzik (1858–1898) whom he chose to be the co-founder of one religious congregations not wearing a habit he established. The congregation under the name of "Heralds of Reparation" was established in 1888 and has existed since then known as the Congregation of Reparation of the Holy Face of Our Lord Jesus Christ, commonly called the Sisters of the Holy Face. – our true joy and ultimate good!